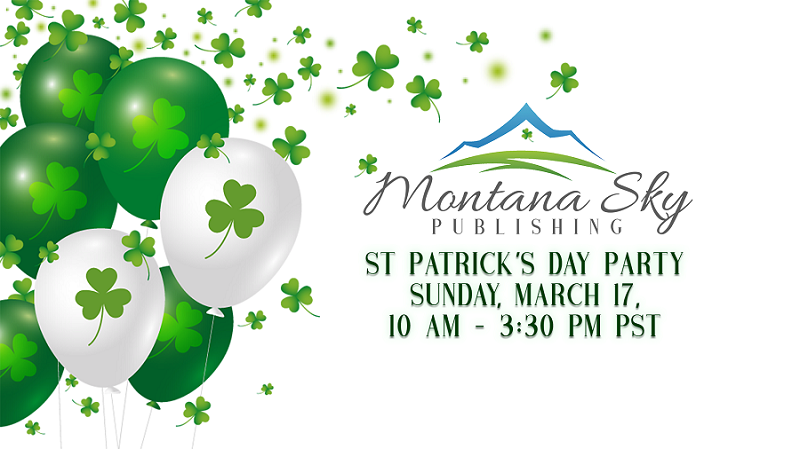 Tomorrow several authors and award-winning series creator, Debra Holland, are hosting a Facebook party to share about their stories written in the Montana Sky world. From 10AM to 3:30PM PDT, stop by here to chat with authors, learn more details about new and upcoming stories, and enter giveaways for a chance to win books and other goodies. The launch of the “Montana Sky Kindle World” is here. 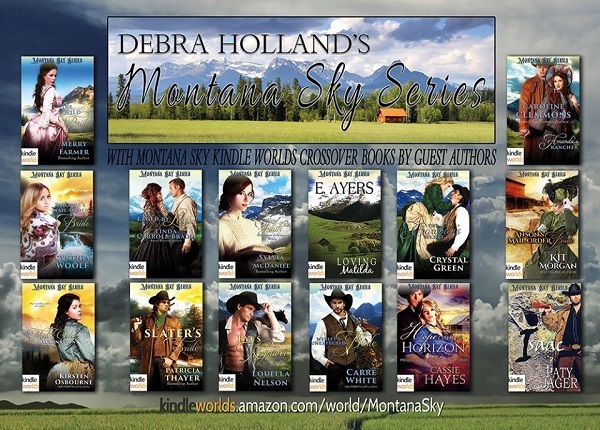 Historical stories created by a variety of authors are either set in or the characters wander through the towns of Sweetwater Springs and Morgan’s Crossing created by Debra Holland in her bestselling Montana Sky series. Fourteen authors are involved in the initial launch, and the stories occur from September and October 1886 through the summer of 1888. Of course, each contains the author’s individual writing style, and some are tie-ins to an ongoing series. Each is a stand-alone story that includes one or a few of the characters Debra has created in her previous Montana Sky or Mail-Order Brides of the West titles. My title in the exciting venture is Laced By Love. In early October 1886, a vaudeville troupe arrives in Morgan’s Crossing late in the traveling season. When an event occurs that shakes up the troupe, seamstress Cinnia decides to say no to older sister Nola who has made the sisters’ decisions since being orphaned a decade earlier. Leather worker Nicolai Andrusha is lying low and using an alias until the patent is approved on his family’s leather tanning formula. But he finds the auburn-haired poetess irresistible. Will Nicolai risk opposing his family obligation to help the stranded beauty who has caught his eye?